Admirals Hill was built in the 1960s as a no-fuss holiday home. 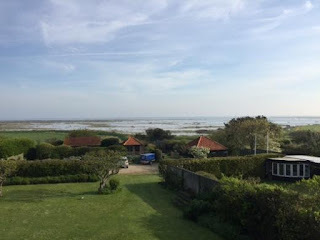 It lies within the village of Blakeney, adjacent to the coastal path in a large garden with off road parking. The house is light and airy and has a large live-in kitchen and three bedrooms. 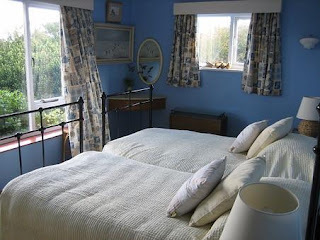 The upstairs sitting room has large windows and a balcony to provide a panoramic view of the whole of Blakeney Point. The south facing summerhouse is available to rent as extra accommodation in the low season but in high season it is included in the price. Ideal for walkers, birdwatchers, cyclists, runners, golfers and children (crab nets and lines included). Blakeney has an excellent selection of pubs, restaurants, delis, gift shops and galleries. Holt, Holkham and Burnham Market are within easy reach.